Spanning 34 acres, the Red River Zoo Fargo is home to 89 different animal species from all over the world, including an impressive range of animals from Northern Asia, Northern Europe, and North America. The award-winning zoo is also committed to deep conservation work and educating the community. Check out some of our favorite exhibits and activities at the zoo here with Dakota Chrysler Center, your Breckenridge area DCJR dealer with offers and incentives in Wahpeton. The Red River Zoo team is deeply committed to the conservation of our natural environment and the species that inhabit it through thoughtful public education, work with endangered and at-risk animal species, and responsible stewardship. Pint-Size Explorers – Tailored to children ages 4-6, this even includes a zoo tour, arts and crafts, educational activities, and meeting animals up close. Parents Night Out – Take a night out with your partner while your kids enjoy a carousel rides, a night hike, and fun and games at the zoo. ZOOcation! – Designed for children grades K-5, this daylong summer program includes exploration, activities with the animals, games, and education. Children’s Zoo Farm – Let the kids enjoy the chance to pet and feed the animals at this hands-on zoo farm. Dakota Chrysler Center is Your Guide to Greater Fargo! 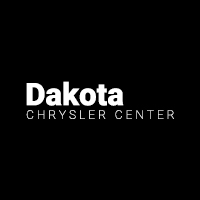 Find more fun things to do with your friends and family near West Fargo with the local team at Dakota Chrysler Center. We’re also your source for affordable new vehicle specials as well as competitive auto financing. Give us a call at (701) 403-8016, or stop by the dealership at 7950 179th Avenue in Wahpeton, ND.